It’s that time of year again. Soon the trick or treaters will be out in force, knocking on your door and hoping to leave your porch with a basket full of candy. I always love seeing the many different trick or treat baskets the kids show up with for Halloween. 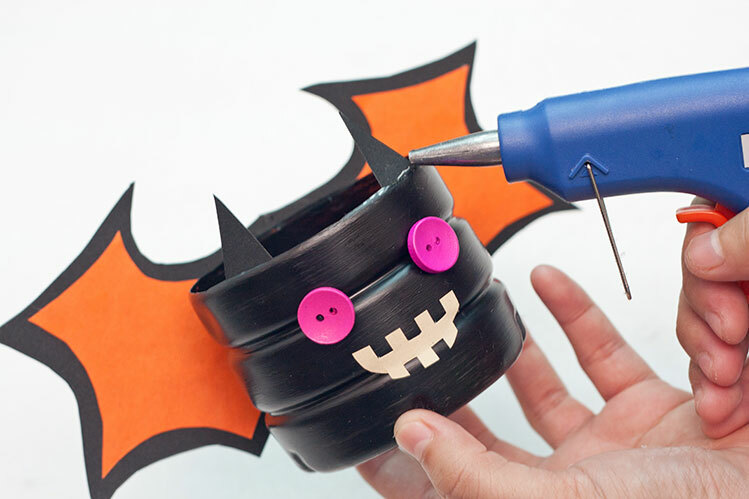 They give me tons of cute Halloween basket ideas for future craft projects. 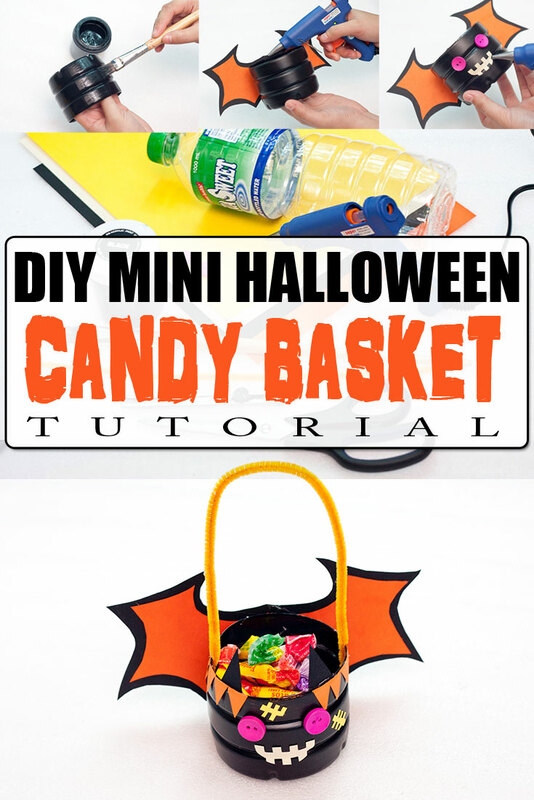 You can find a lot of great Halloween trick or treat basket, pail, and bag ideas right here. 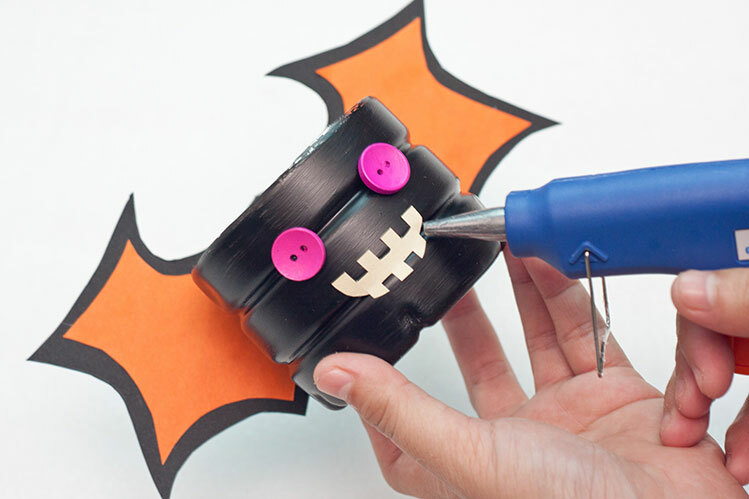 Today, I want to share with you a fun DIY trick or treat basket for Halloween. 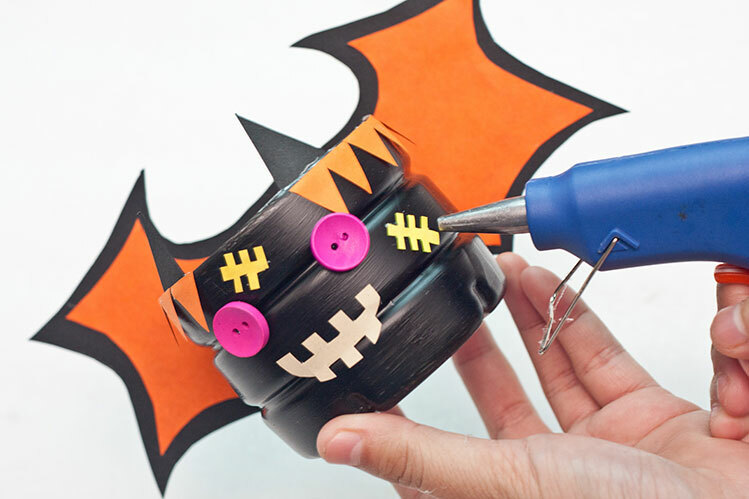 This Halloween candy basket craft can be used to create your own Halloween gift basket or as a decoration, party favor, or costume accessory. 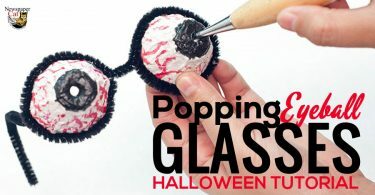 Also, because it’s small and lightweight, it can also be used as an easy trick or treat basket for infants and toddlers. Just be sure to supervise so they don’t pull off the button eyes! My kids love these and I hope yours will too! 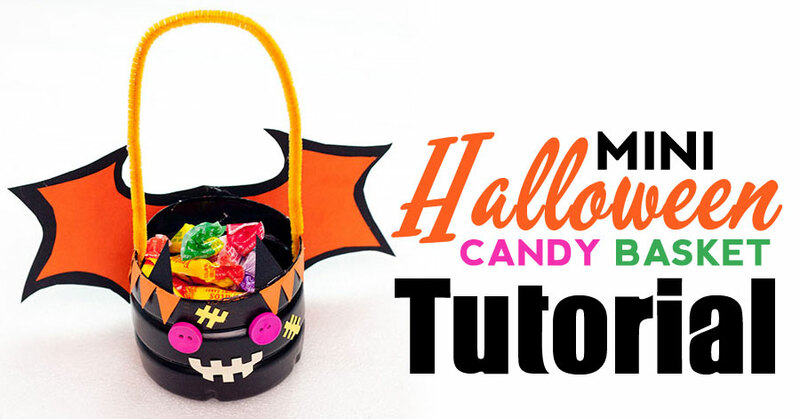 Here’s everything you and your kids will need to make a Halloween basket for trick or treating. Feel free to swap out colors to make your own unique designs! These are awesome because they allow for lots of personalization! 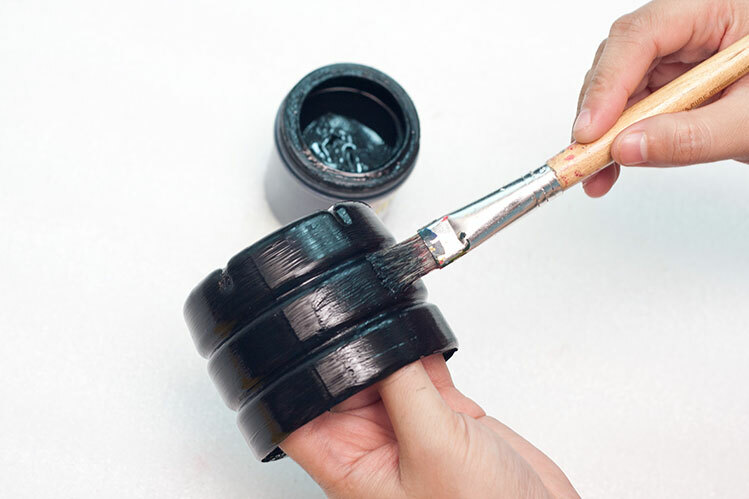 Use the paint brush to add a second coat of black paint to your Halloween treat basket. Let it dry completely. If coverage remains translucent and isn’t to your liking, continue adding coats of paint until you are satisfied with how it looks. 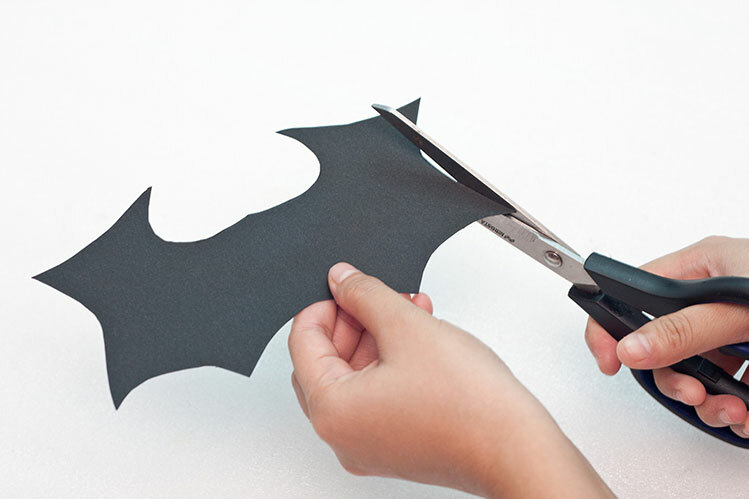 Draw and cut out a smaller version of the black bat wing in a different color. 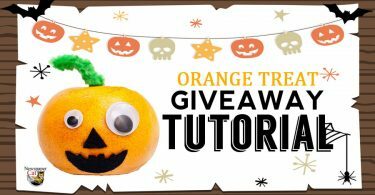 I used orange for this tutorial, but you can use any color you want to help personalize your trick or treat basket. Take the smaller orange bat wing and center it on top of the larger black bat wing. 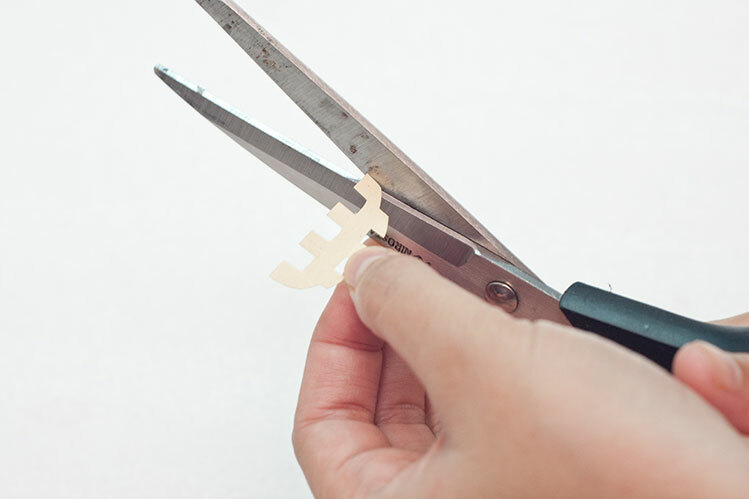 Then, use hot glue to permanently stick them together. 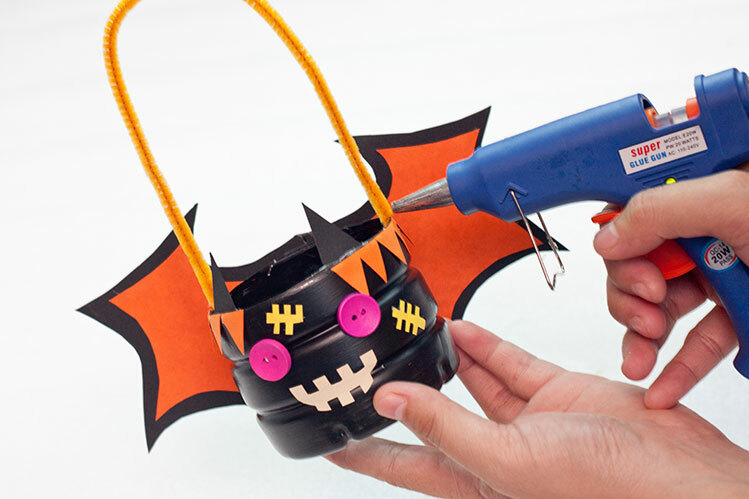 Next, take the bat wings and hot glue them to the water bottle candy basket. Align the wings so the orange color faces and attaches to the basket as shown. Center the wings so you have even distribution on both sides. 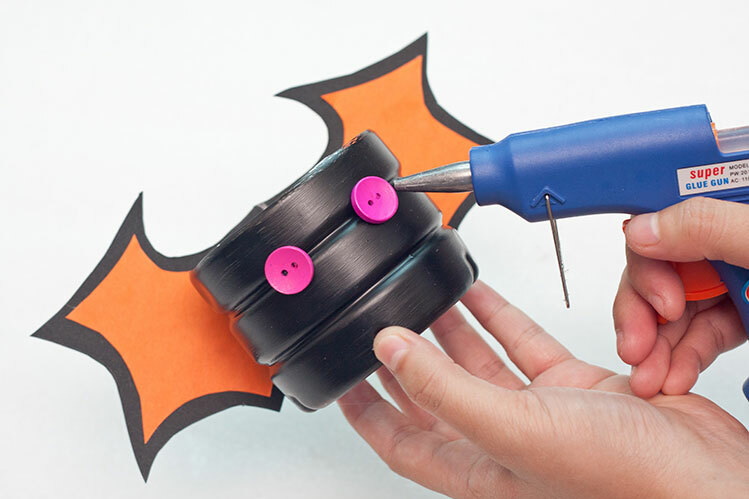 Take your two wooden buttons (or alternatives) and hot glue them to the front of the Halloween basket. These will serve as the eyes of your bat monster. 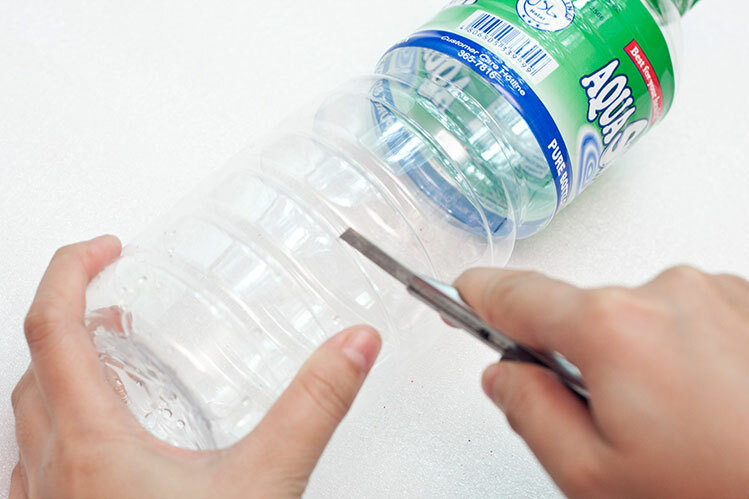 If your water bottle has grooves, use them to align the buttons properly by centering them over the groove as shown. 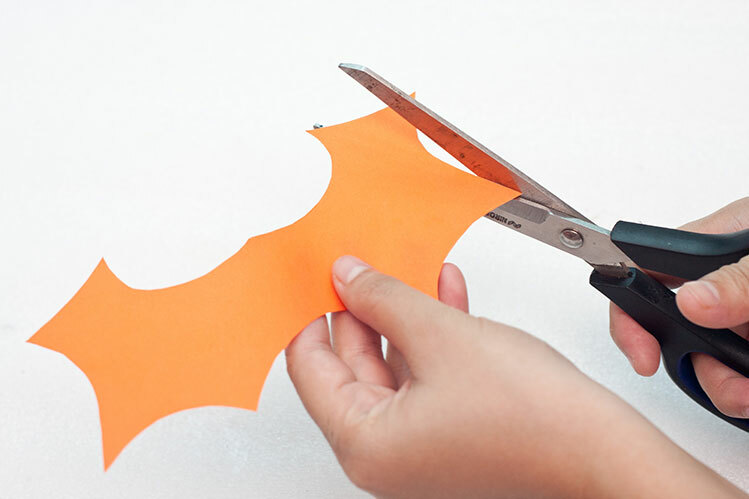 Use white or cream construction paper and cut out a mouth for your Halloween treat basket. I cut an alternating zigzagged shape for mine, but feel free to get creative here. Nothing fancy here. 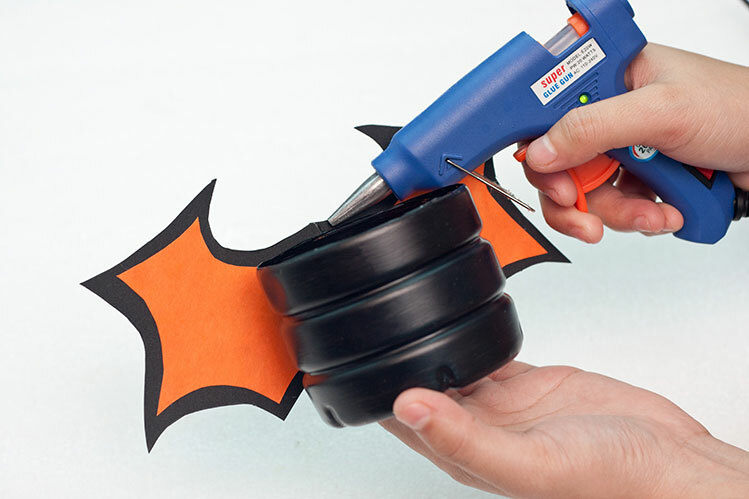 Just hot glue the mouth you just made onto the candy basket. 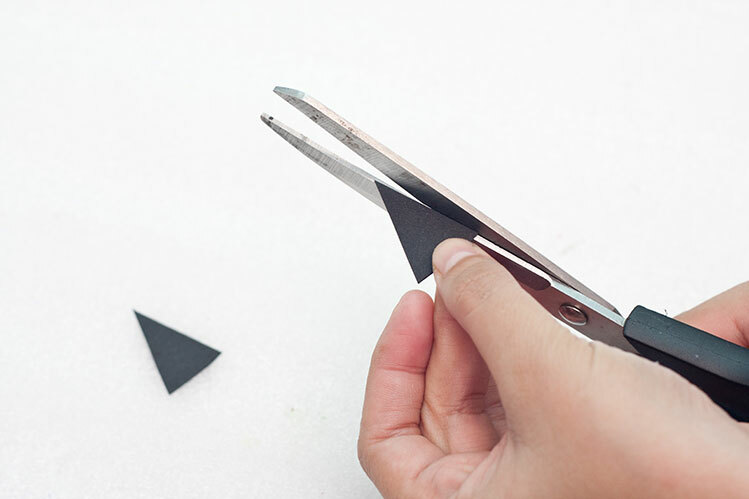 Use black construction paper to cut out two small triangles. 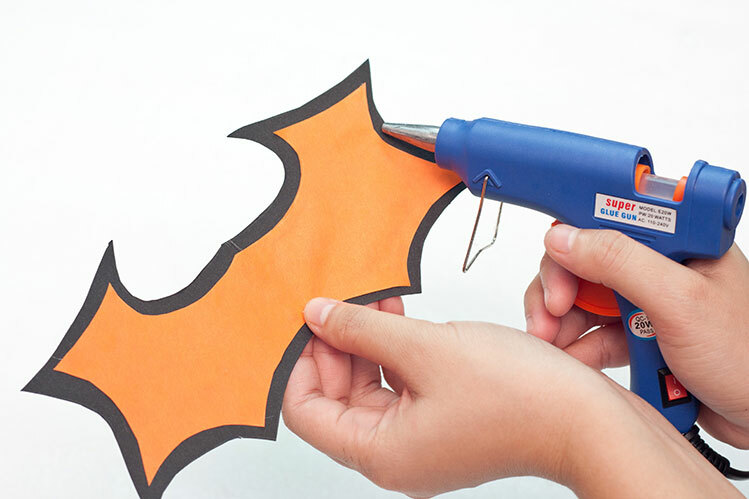 These will be used to form ears (or horns) for your little bat monster basket. So cute! 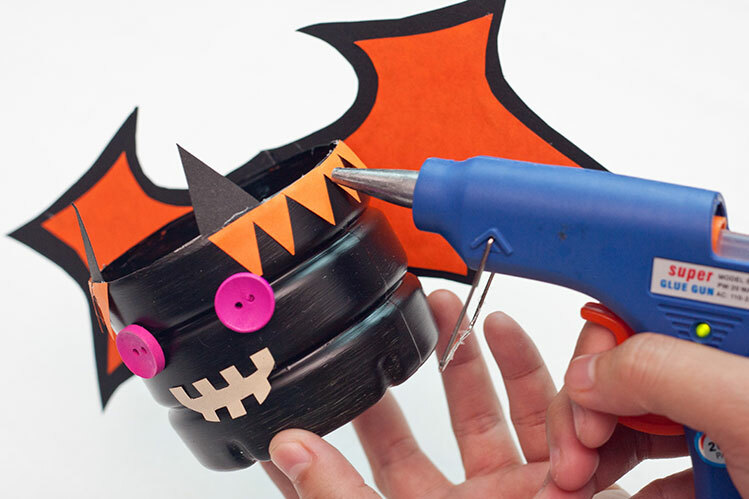 Secure the ears/horns to the lip of the trick or treat basket using hot glue. These tend to look best if glued slightly offset to the eyes. 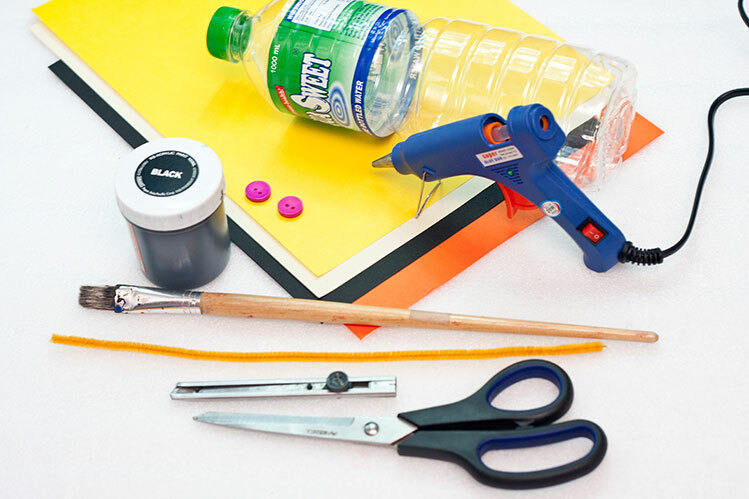 Use construction paper of various colors to add any other personal touches you want. In this example, I cut several “stitch-shaped” objects from yellow construction paper and added them to look like bandages or scars. 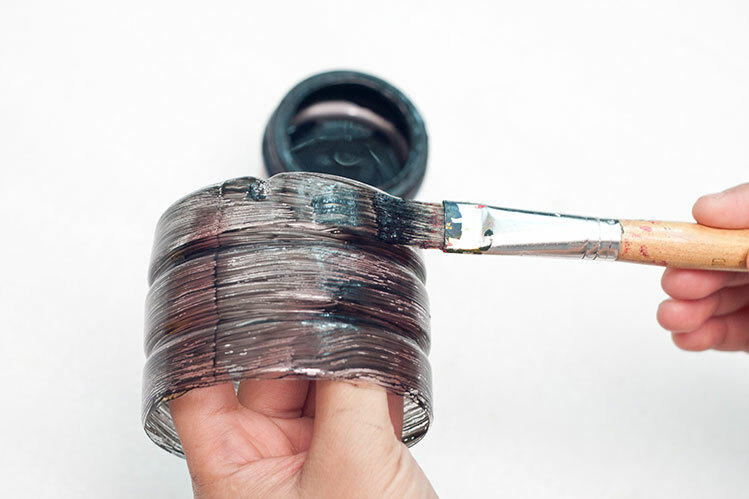 Bend the pipe cleaner into a “U-shape” and generously glue both sides to the inside edge of the basket. Be sure to center it as best you can for even weight distribution. This forms the handle of your treat basket. Congratulations! You’re all done! Now you have your very own custom Halloween basket ready for trick-or-treating! 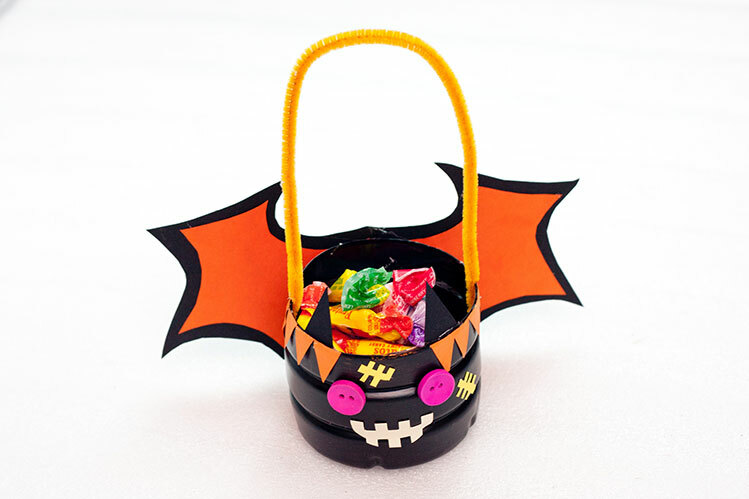 These mini baskets won’t hold a ton of candy, but that makes them perfect for small children or to hand out as party favors at a Halloween party. They also make great Halloween gift baskets to hand out to your friends, family, neighbors, or co-workers. So adorable and so fun! 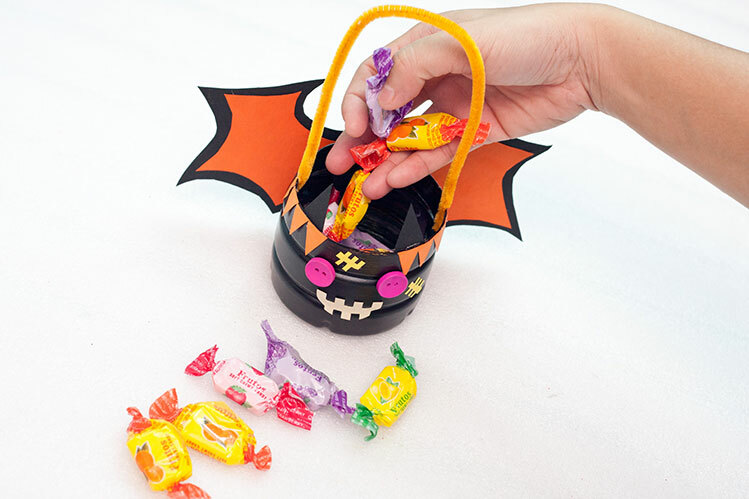 For Pinterest Lovers: If you enjoyed this Cute DIY Mini Halloween Trick Or Treat Candy Basket Tutorial and want to save it for later or share it with friends, simply use the image below to pin it to your board! Easy peasy!